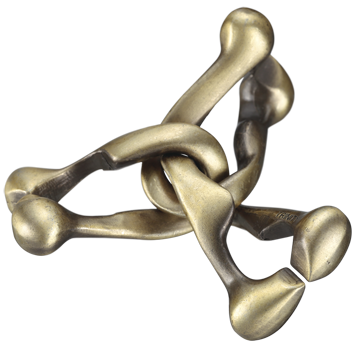 A puzzle that interlocks each piece with the two other pieces via an exlusive, organic design. There are numerous possible combinations other than the ones shown here, giving you plenty of room to enjoy some puzzling experimentation. Designed by Hong Kong designer Kyoo Wong. © 2017, 2018 Hanayama Co., Ltd. All rights reserved.